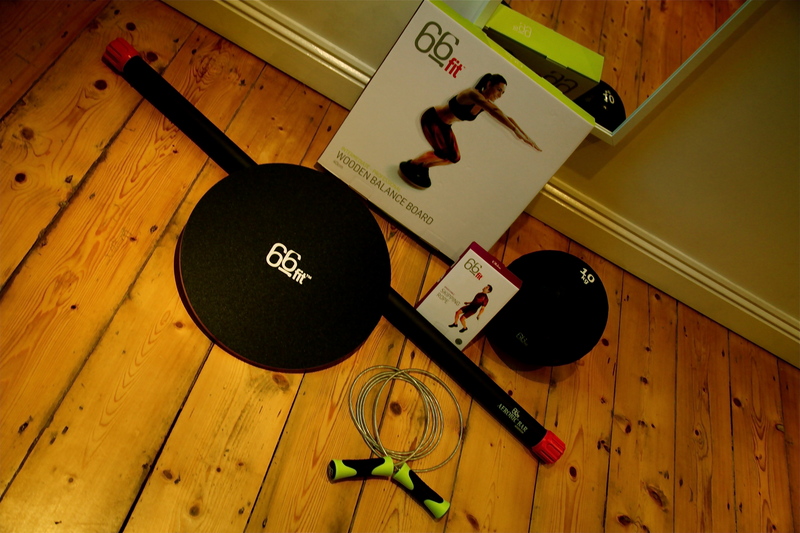 I’m Super excited about this Tabata 66Fit blog today. 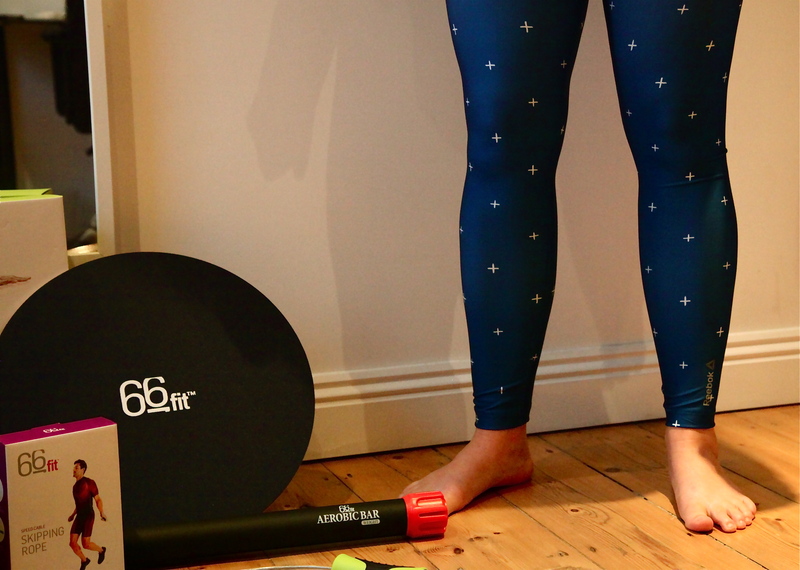 First of all I’ve been a fan of 66Fit for quite a few years now, It all started with a 66Fit blue foam roller that has come around the world with me and is still my favorite roller even though I have 3 other rollers now. 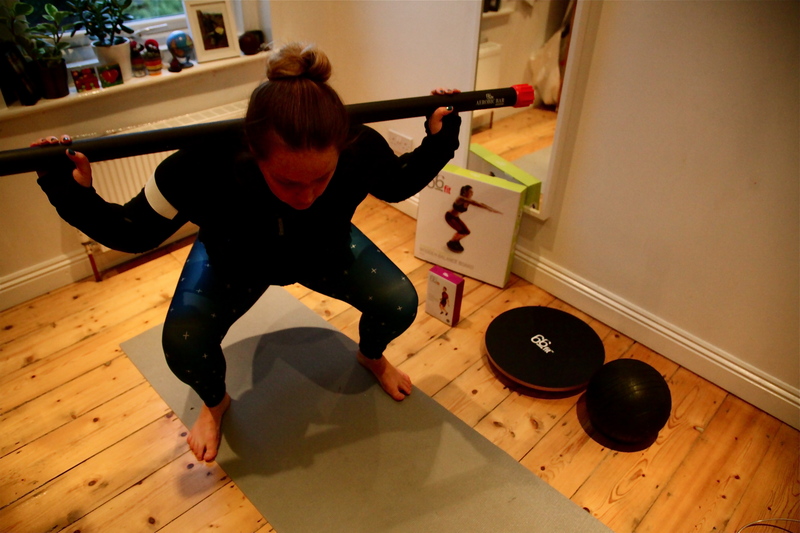 I’m also excited because I dont need to leave my house to get a great Metabolic workout. Bonus! 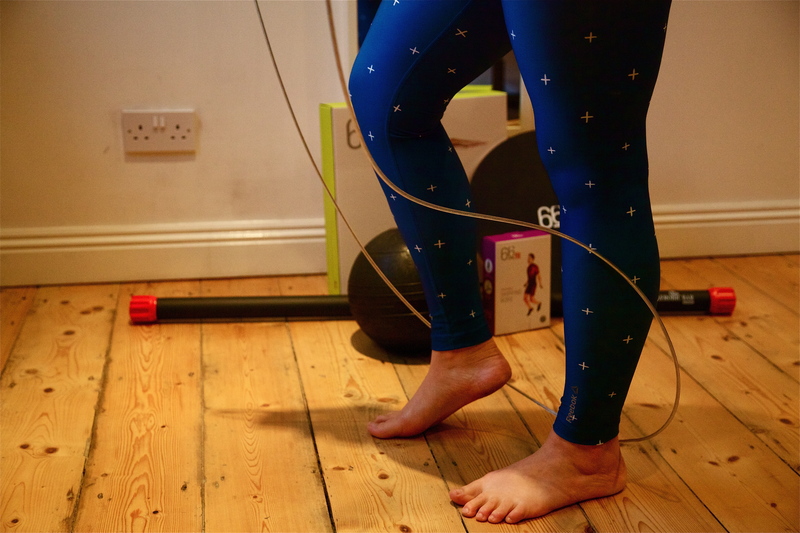 I have written about my love of Tabata skipping before here, have a read. 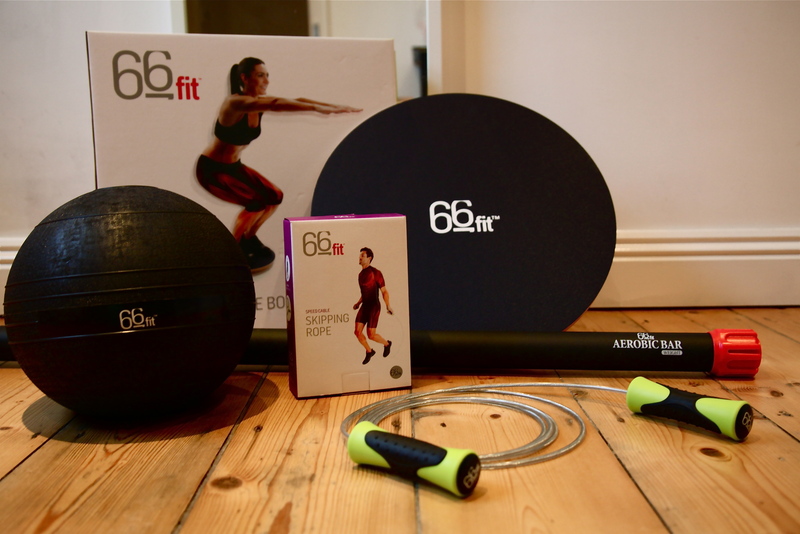 This workout I have been doing Mondays and Fridays I started with using no weight then after two weeks I added both the 66Fit Aerobic weighted bar and 66Fit slam ball products. 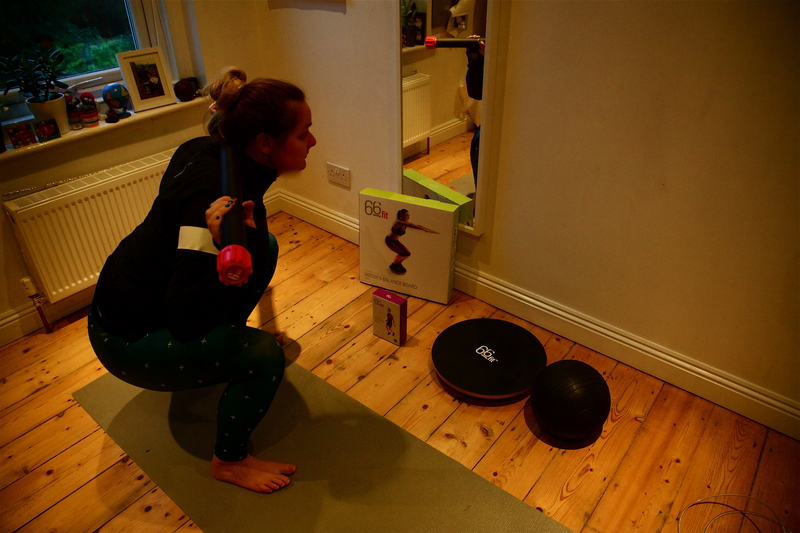 What is Tabata? 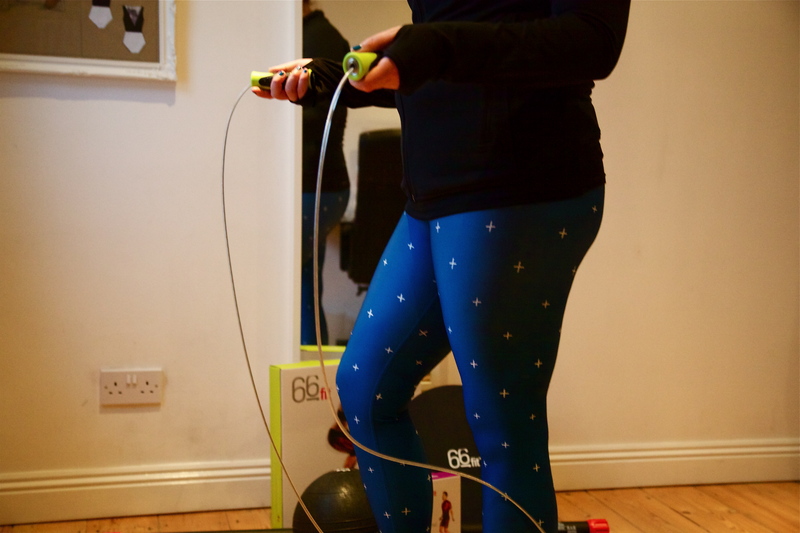 Tabata is a high intensity type of interval workout that was inspired by Dr. Izumi Tabata. 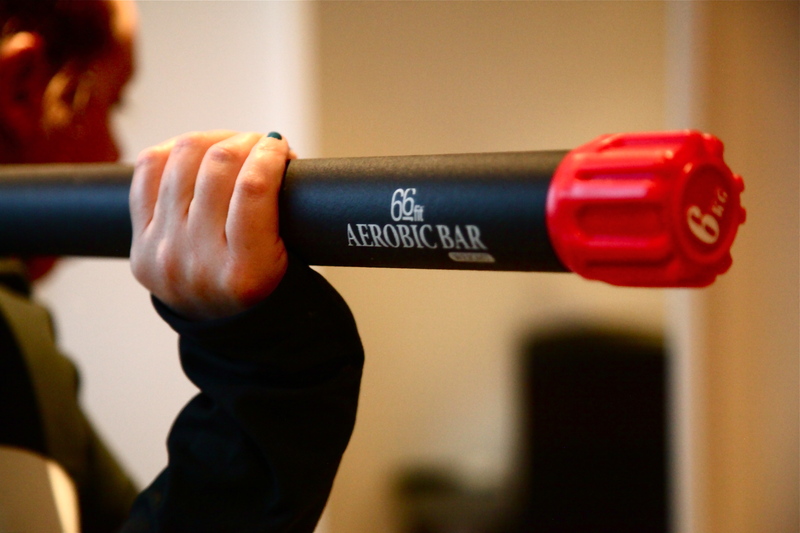 It is 20 seconds training at you maximum then 10 seconds rest for 8 rounds. 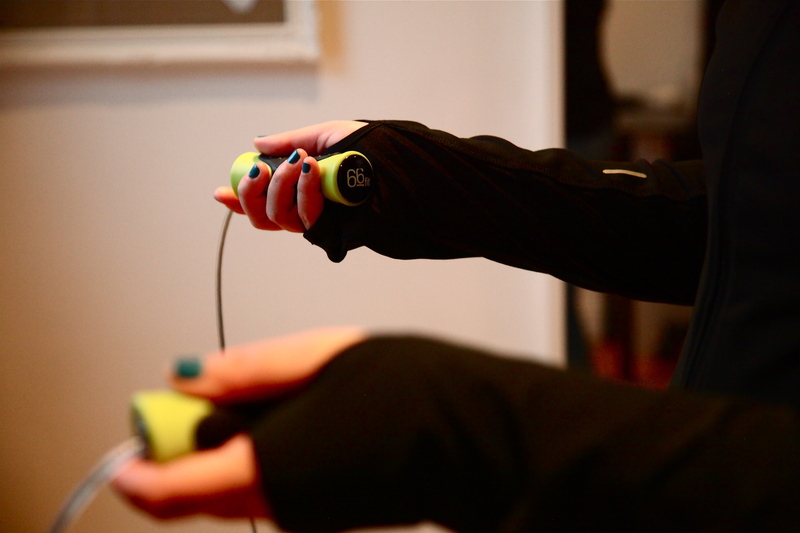 At only four minutes per exercise your home workout is done in 16 minutes. 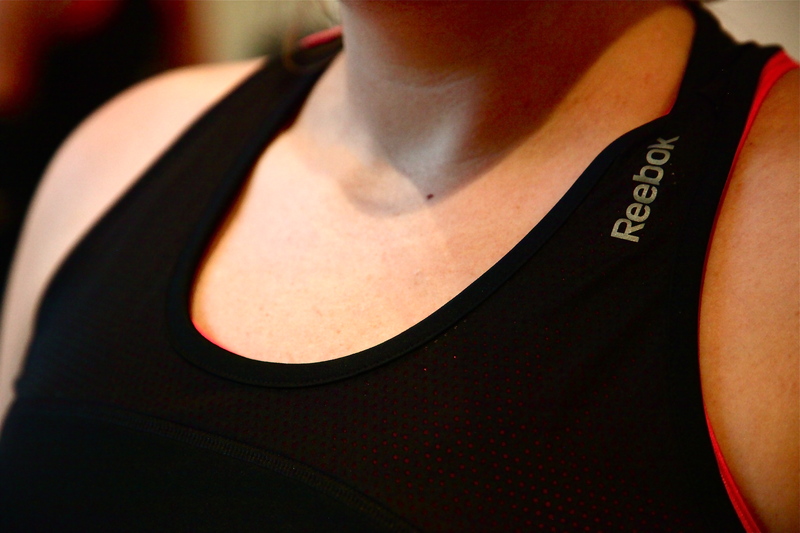 I like the fit of all this gear its fits well to a woman’s body shape. My one complaint is the pants are see through! 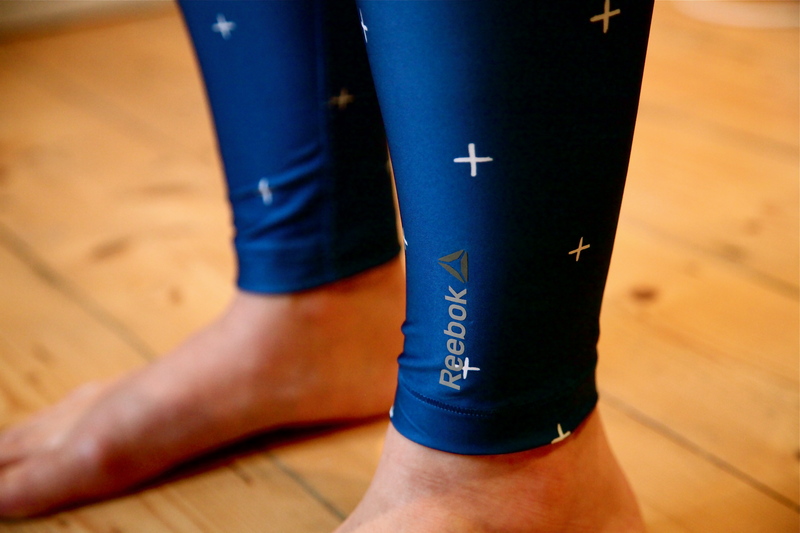 Sorry Reebok but please sort this out. 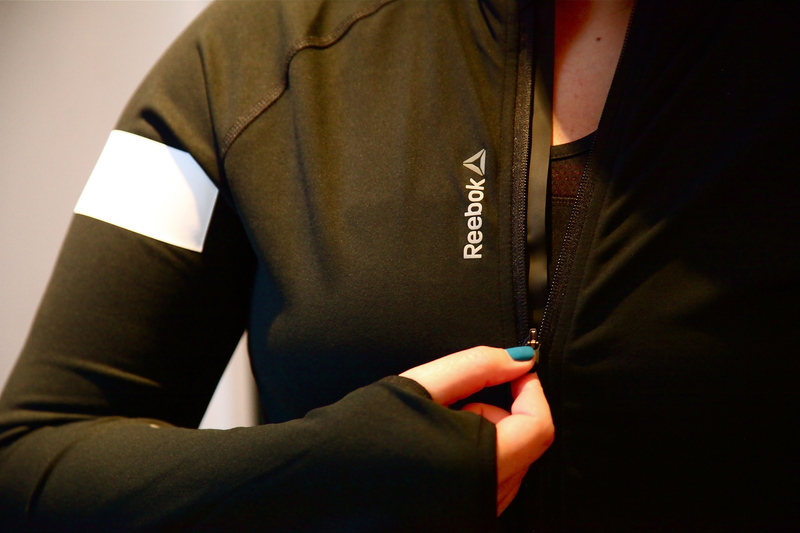 < Previous Blueberry Sports – Protein in a bottle – wearing Lululemon and Levis. This looks really cool! Love the tights! Wow. Inspirational. You’re looking great. Love the leggings. 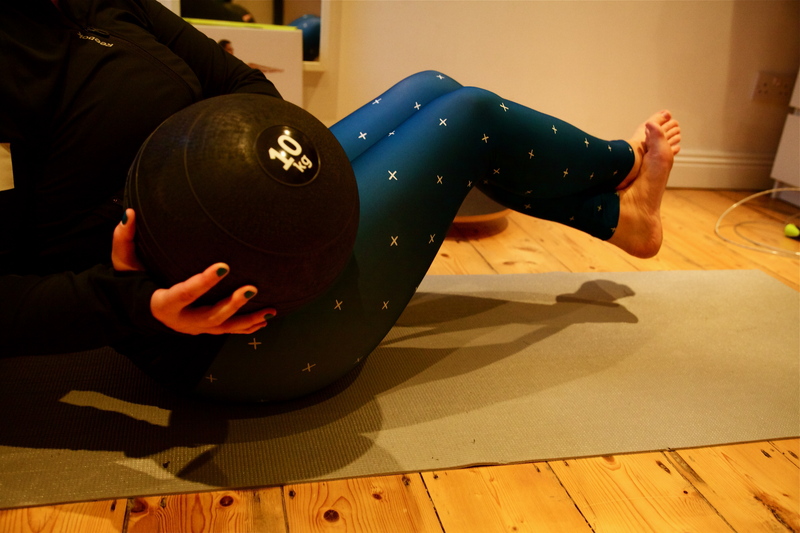 Slam balls are so versatile; a staple of my workout kit. 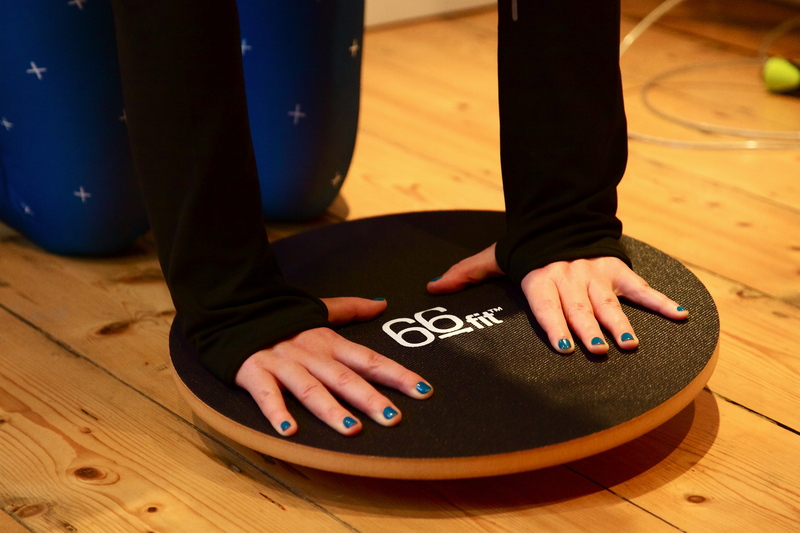 The 66 fit wobble board looks great and much smaller than the BOSU and so easier to transport. Great workout. I’m unfamiliar with this workout but I’ll have to check it out. Thanks for stopping by thefirst2hours!